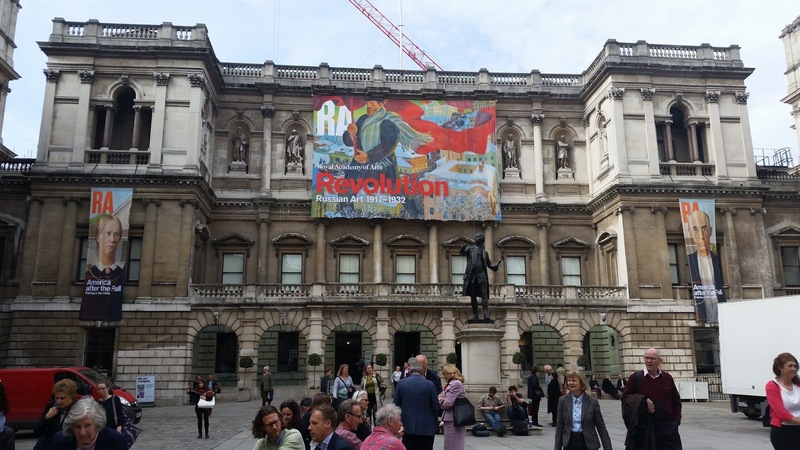 One of the things I like about my job is that we have corporate membership to the RA and today I've been making the most of it. I'd go to London more often if East Midland mainlines pricing structure was less prohibitive, but they can obviously get away with charging an arm and a leg (okay, around £50 return, but it's cheaper to get a ticket from Nottingham than it is Leicester, despite it being the same train, and Virgin can do Birmingham to London for around £20 return) and do so with enthusiasm. None of which has anything to do with the exhibitions I saw. What I really wanted to see was Grant Wood's 'American Gothic' in the America After the Fall: Painting in the 1930's exhibition. I hoped a week day would mean that the Sackler gallery would be less crowded. I guess it was, I can only imagine what it would have been like on a Saturday, but inevitably it was still really crowded. Never the less it's an excellent exhibition, 'American Gothic' surpassed expectation - it's mesmerising, and seems much warmer and affectionate in life than it sometimes looks in reproductions. Wood's 'Daughters of Revolution' was another highlight. He described it as a satire (there was apparently a spat about a stained glass window he was commissioned to design and the use of German glass in it, of which the DOR did not approve). It's a picture that clearly mocks its subjects, but it has the same magnetism that 'Gothic' does. It's not a big exhibition but there's a lot to think about, and it's maybe not the worst place to start trying to understand American politics - it certainly hints at some of the contradictions that baffle me as I try and make some sense of it. Revolution: Russian art 1917-1932 is on until the 17th of April, it was fairly quiet on a sunny Thursday afternoon, and if you can see it you should. Again, there's a lot to think about - in this case a journey from the hopeful chaos immediately after the revolution when everything must have seemed possible, to the depressingly speedy descent into Stalinist purges. There's a whole range of objects and images to look at, the propaganda is genuinely uplifting (or at least it looked pretty good to someone who had just enjoyed tea and scones, and wasn't a starving peasant forced into collective farming - I've read enough Solzhenitsyn to know how that goes). Official portraits of Lenin looking commanding and imperial however are telling - one Tzar has replaced another. I really should have bought the exhibition catalogue for Russia, and I wish I could go back (maybe a few times) to properly get to grips with it (there really is a tremendous amount to think about). It's epic, and moving, there's a room with a lot of Malevich's in it (which I personally consider a very good thing), and however fleeting a moment it proved to be, the sense of what was possible at the beginning of that revolution is tangible - especially in some of the ceramics, and it's exciting. One of the things that I particularly like about Little Toller is how beautiful their books are. They're lovely to touch and look at in a way that not just makes them a pleasure to read, but reinforces the sense of what I'm reading. In this case the illustrations by Beatrice Forshall* act almost like punctuation - the moments I took to look at the image that prefaces each chapter was enough of a pause to let the previous chapter sink in a little bit more. 'Orison for a Curlew' was a Christmas present from my sister (thoughtfully chosen from my wish list, where it was sitting because the Eurasian Curlew, especially its distinctive call, is a defining part of the Shetland landscape I grew up in). The Curlew, Horatio Clare writes about here is its elusive cousin, Numenius Tenuirostris (the slim beak of the new moon) or Slender-billed Curlew. It's so elusive that it's officially one of the world's rarest birds. So rare that at the time of writing it looked very like it may actually be extinct. A book about a search for a bird that hadn't been reliably spotted in years sounds like it might be quite depressing - this one isn't. 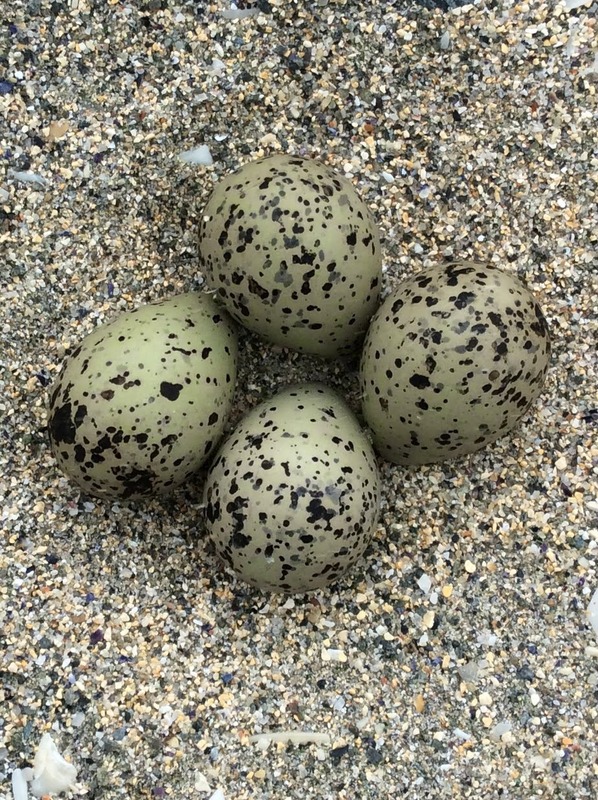 Instead it's an unexpectedly uplifting homage to the people who have thought to save the habitats and landscapes to which the bird so recently belonged, and recognition that even if the Slender-billed Curlew has gone forever, it hasn't gone unnoticed and efforts to find it have created a positive legacy. The question that Clare asks again and again as he travels across Greece and around the Balkans is does it matter if the bird is extinct? The answer is yes, and it's yes mostly because we don't understand why. Not so long ago this was a common enough bird, and whilst it's not been lucky with its habitat, it's cousins and neighbours have not suffered in quite the same way. If we don't know why, we don't know what it's disappearance means, the implications it has for other species, the implications it has for us. And that's quite apart from considerations about what sort of world were leaving behind us, or what responsibility we have towards the environment we live in. The good thing is that people realise this, attitudes are changing, and as is demonstrated again and again throughout the book "passionate efforts by very small numbers of committed people can have a tremendous effect". So in the end it's a hopeful book, and there's an even more hopeful post script. 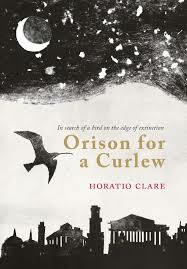 By the end of the book its years since a confirmed sighting of the Curlew, there are rumours, and the odd possibility, but they feel like wishful thinking, the inevitable conclusion is that the bird has gone. Since then however there is news that Numenius Tenuirostris might have been hiding in Holland and Kazakhstan, that it might not be to late to learn from it after all, and that almost miraculously this is something we haven't broken. Not yet anyway. *I really like Forshall's work generally, and as this is the closest I'll come to owning any of it in the foreseeable future, these illustrations were a real bonus. This mornings bus read was Stefan Zweig's 'The Invisible Collection', the collector in it had amassed portfolios of Dürer's and Rembrandt etchings and woodcuts which will forever remain beyond my means, but I recognised his passion. I wouldn't like to say which gives me more pleasure - books or art, but I do know that in a fire it's the pictures I'd make a grab for. The small oil portrait of a woman by my great grandfather, and an exquisite embroidery of figs that looks like a painting by my very talented friend Mary Fraser - I'd risk injury for either. They and a few other things are utterly irreplaceable and I treasure them not just for their beauty but also their associations. Meanwhile, like Zweig's collector, my means are relativley limited so when I started buying pictures they were mostly prints. That's a very vague term, but this doesn't feel like right moment to launch into a long list of all the print making techniques that particularly attract me. It's enough to say that as I've found myself with slightly more disposable income it's still mostly prints that I collect. I'm not generally a fan of buying things online that I haven't actually seen first. The image on the screen will never be the same as the actual object, and you lose the sense of going on an adventure that going to find something gives. But this weekend I took a chance, and I'm delighted with the results. I've been following Deborah Vass on Instagram for a while, coveting her Lino cuts. 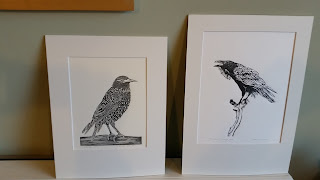 On Friday her Etsy shop opened and I'm now the proud owner of two of them. I don't think it'll end there either. You can tell how pleased I am with them because I'm writing about them here! Have a look at her work, think for a moment about the effort, skill, inspiration, personality, and love that goes into creating them, and keep an eye out for what she does next. On Saturday I finally made it to Falls farm in Harrington (Northamptonshire) to see the Warner Edwards distillery. I've wanted to do this for around 4 years now (basically since they opened and I heard about them) and thanks to my friend Grainne for getting us tickets and driving (thank you, it was a fab birthday present) we've finally done it (even though it took us 4 months to coordinate a date - how is it that as you get older these things get so hard?). Warner Edwards went into production in December 2010, following reasonably hard on the footsteps of Sipsmith in the vanguard of small craft distilleries - it's all gone a bit crazy since then with new gin brands popping up all over the place with bewildering speed, but Warner Edwards are particularly interesting. Started by two friends who felt if they were going to be working as hard as they were they might as well be doing it for themselves they set about looking for a way to exploit their farming backgrounds. 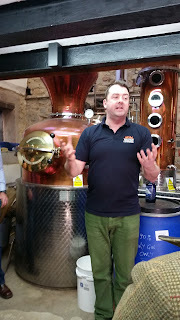 The answer turned out to be a small barn on Tom Warner's family farm - and this is one of the things I find really exciting about gin distilling - the scale can actually be really small, certainly compared to whisky making, and still be commercially viable. They currently have a main still (Curiosity) that can produce around 700 bottles worth of spirit a time, and a baby still for experimenting with. 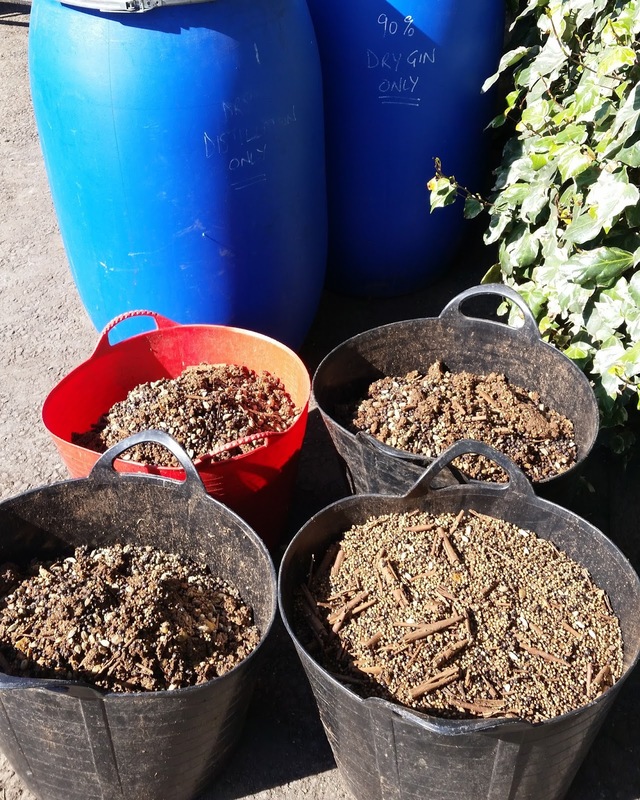 The farm provides provenance for the flavoured gins they produce (elderflower, Mellisa, sloe, and, rhubarb) and a romantic background for the whole story. It's also quite exciting that this is a project that can support jobs in a rural community. The gins themselves are great. I bought the Harrington dry because it's just the sort of traditional juniper forward sort of thing I love. Really liked the Mellisa (lemon balm) gin which I already had unopened at home - it's more pungently herby than the basic dry. Was impressed by the sloe stronger than most and not too cough syrupy in flavour, so a definite winner, and surprised by how much I liked the elderflower. The rhubarb gin is an old favourite. Elderflower isn't a flavour I'm always overly keen on and I had doubts about this one. I'd tried, and disliked, Gordon's elderflower but this is something else. Again it's strong enough (40% abv) to have a proper punch, isn't too sweet, and the flavour is fresh and appealing. There are various suggestions for cocktails on the website, but Grainne and I both thought it might be really good as a rickey with lots of ice, lime, and soda water. It's available from M&S which makes it one of the easiest to find. Altogether it was a pretty good tour, and not least because you get to try the whole range which makes it very good value as well as informative. My personal highlight was seeing buckets of used botanicals and having the fun of spotting what went in the gin (it's the kind of detail I like) and I can thoroughly recommend going. Most of this year has been spent in a bit of a reading slump. I've been more than usually indecisive about what I might be in the mood for, struggled to find the enthusiasm, or concentration, that all sorts of great looking books would call for, and found myself overwhelmed by the sheer number of unread volumes piling up around me. This week I made a decision - pick short books (anything around 150 pages, or less) and just get on with it. This isn't my normal approach, but I'm finding it very helpful. There's a steadily growing pile of books that I've finally read which is really satisfying, that sense of being overwhelmed is diminishing, and the slightly unlikely combination of titles is holding my attention and shaking up my imagination (I feel like I'm getting a bit of a mental spring clean). Brutal and redemptive in equal measure, You Were Never Really Here is a toxic shock of a thriller, laced with corruption, revenge, and the darkest of inner demons." Given that Joe's favourite weapon is a hammer, and quite a lot of people end up dead or injured, Ames stripped back style isn't overly graphic. The brevity of his descriptions is still powerful, but we're mercifully spared details - though I'd generally argue that less is more with this kind of thing, so for me the lack of detail was a bonus all round. There's a quote on the back cover from Gary Shteyngart (I looked him up) which says "Amazing... Would make Raymond Chandler happy", I can't think of a better way to sum up this book, or to recommend it. As I've now spent longer trying to think of a way to do just that then I did reading the book it seems sensible to stop, but I do recommend it. I've been putting off reading this for a while now, mostly because I loved Bird in a Cage so much, and was half afraid that nothing else would measure up to it (it's that nerve racking moment when you have to find out if you love the writer or the book). 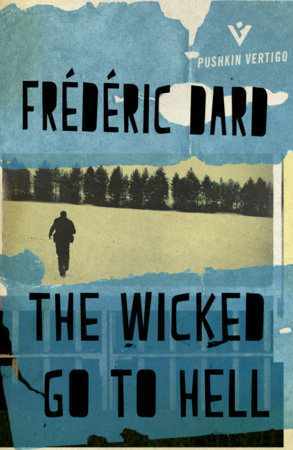 Also because the plot; " At one of France's toughest prisons, an undercover cop is attempting to trap an enemy spy by posing as a fellow inmate. So Frank and Hal find themselves holed up together in a grimy, rat infested cell, each warily eyeing the other. As they plan a daring escape, an unexpected friendship ensues - but which is the cop and which is the spy?" isn't the sort of thing that normally appeals to me. I didn't like this as much as 'Bird in a Cage', it's much more violent and because it's dealing almost exclusively with a relationship between two men bought together by violence I found it hard to relate to. 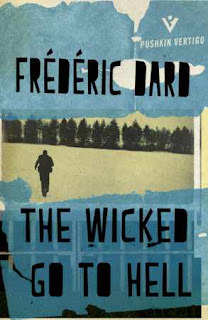 The way Dard leaves us guessing about which man is the criminal, which the policeman, until the end is clever and effective, it did make me think about the nature of duty, loyalty, conscience, and deception. He doesn't get bogged down in morals, and the exact nature of the relationship between the two men is fascinating. It's not friendship, but something more binding born out of shared experience, hatred, and distrust, which strips everything else away. In the end there are no good or bad men, just men. Or perhaps it would be more accurate to say there are no good men, just men doing what they do. I don't mind the moral ambiguity of it all, could accept the fairly extreme violence, but wasn't particularly moved by the bond that grows between Frank and Hal (because it really was all to macho for me) though I can see that another reader would be. That said, I was interested enough to not only finish this book, but to read it in a day (instead of picking it up and putting it down over a week), had I really disliked it, or even just found it dull I would quite happily have stuck it straight on the charity shop pile. It's also confirmed my opinion of Dard as a really interesting writer, and this time it won't take me 9 months to get to the next one I have ('Crush'). It's good to be taken out of my comfort zone, and given my love of the feminine middlebrow, particularly good to read something so at odds with that. Yesterday's trip to the beach already feels like it happened weeks ago. 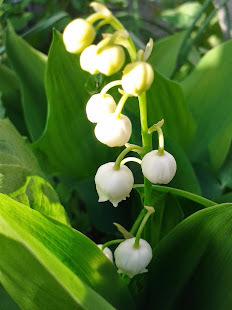 A wet, and cold again, Monday at work would have been quite enough to bring me back down to earth anyway, but the other big event yesterday was a call from the decorater. This is related to the annoying (now evicted) upstairs neighbour who persistently flooded my flat last summer. After months of trying to coordinate with the approved decorater (I finally managed to get hold of him in January after he got back from the Caribbean) he disappeared again to work out a quote, and I heard nothing until last night when he phoned to say the work had to be gone this week and could he have a key. I'm not paying for this so I suppose I can't be to snotty about it, but a little bit more notice would have been helpful. 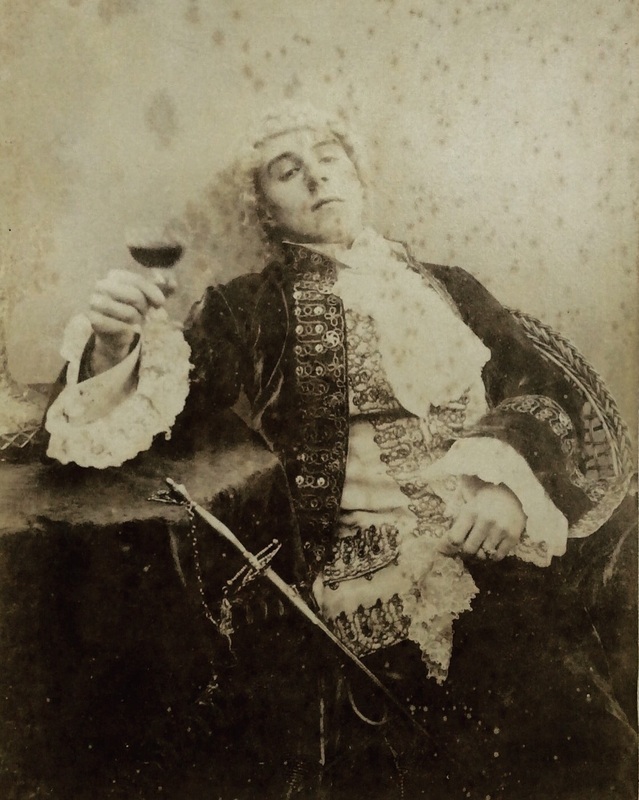 As it is I've had a fun evening rushing home to give the keys of my flat to a virtual stranger, with expensive shoes, who makes the Scarlet Pimpernel look easy to find. I'm sure it'll be fine. I've also had to clear anything breakable or previous put of my bedroom, kitchen, and bathroom so he can deal with the ceilings. It means the sitting room looks like a junk shop, I won't be able to find anything, and I've been half choked by dust. His 'don't worry about the pictures, love emulsion will scrape right off those' has not filled me with confidence. But it'll probably be fine? At least 'Murder in the Museum' was reliable. 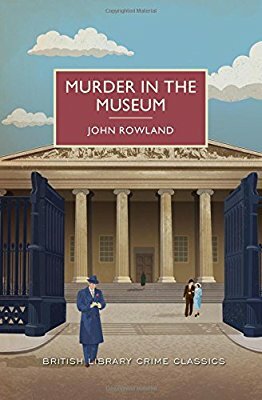 I'd been saving it for a rainy day - murders in the British Museum/library don't come along every day (at least, I sincerely hope not) - and as there have been a few of those recently the time seemed right. I'll be honest, it's not the best murder mystery I've read, but that really didn't matter. The joy of this book is in its premise. 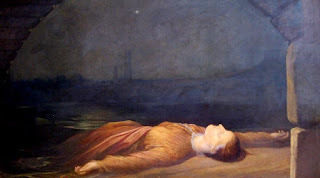 Henry Fairhurst, a meek and mild man, is quietly researching the life of an obscure 17th century French courtesan in the reading room when his peace is disturbed by a loud snore. When he try's to wake the snorer the man, Professor Arnell (an expert on some of the more obscure Elizabethan dramatists), falls to the floor, quite dead. The plot thickens when it turns out that he's not the first expert on Elizabethan dramatists to have died suddenly in the reading room. Just what is going on? Does somebody have it in for academics who specialise in the Elizabethens, or is it because both men had money to leave? When a third scholar meets the same end the police have their work cut out. The plot relies heavily on coincidence, and doesn't bear a great deal of scrutiny in places, but I liked Rowlands sense of humour more than enough to make up for that. It's not a book to be taken seriously, but as light entertainment it works very well indeed. I happily read through it in a couple of hours and now I've finished moving stuff for the decorater I'm off to dig out another Rowland as a reward for good behaviour. 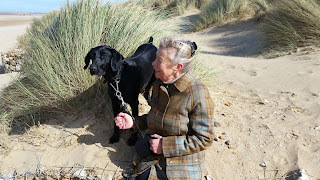 Humour me with this, but Tally is my mother's dog, and today is her birthday. She's two, and since she came into our lives (which will be two years ago in about eight weeks) she's been a godsend. D jokes (it's probably a joke) that I love the dog more than him, I don't, but when she launched herself onto me and my bed at 5 am this morning to lick me awake, before demanding to be let out, I thought it was endearing. If a D had done that I would have sworn at him. The thing with dogs generally is their wholehearted enthusiasm for people they like, and for life in general, always makes me feel better. It doesn't matter how bad a time I've been having, Tally cheers me up, and when I was struggling with stress a while back spending time with her really helped. Anyway the dog's birthday has been an excuse for a family outing to the seaside (a 200 mile round trip, so no small undertaking, and as my sister pointed out she's been asking for a birthday trip to the beach for years and never got one). Tally had never seen the sea before, and at first she wasn't at all convinced that it was a good thing, but then she met a much smaller dog who jumped right in so she decided to try it, then spent an age wallowing around like a porpoise whilst trying to catch kite surfers. (She didn't get close). It's not always easy to find the time for days like today, or even remember how important it is to do so whilst we can, but it's been great, so thanks to the dog for giving us a reason to do it. 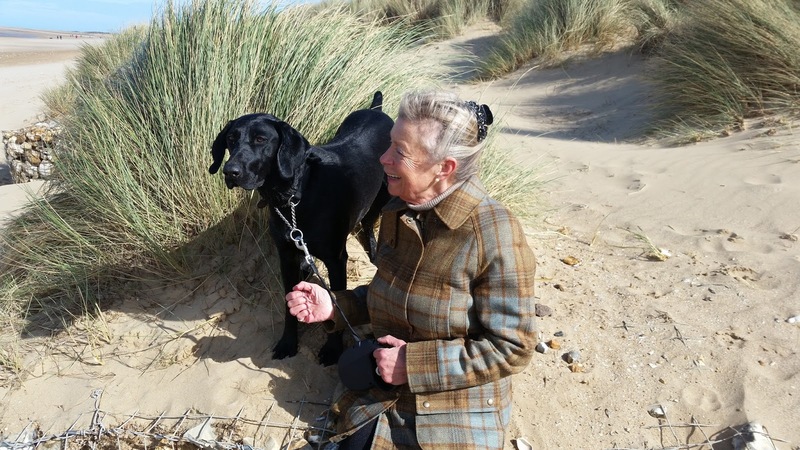 We went to Old Hunstanton in Norfolk, it came well recommend as a dog friendly beach, a recommendation I heartily endorse. All the many dogs there were well behaved, the beach was clean, and there's an equally dog friendly cafe by the car park. 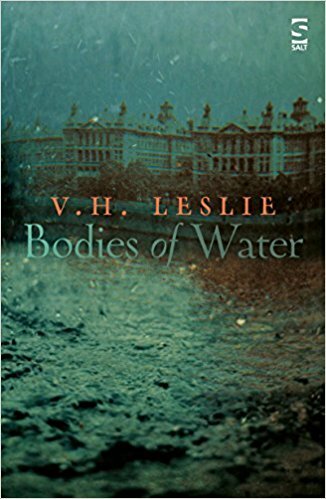 V. H. Leslie's 'Bodies of Water' had been hanging around ignored for far to long and seemed like a good place to start. There are two timelines linked by a building, Wakewater house, and the river Thames. In Victorian London we have Evelyn, who has been ministering to fallen women, after a love affair ends badly she has a nervous break down and ends up at Wakewater House for the water cure. Back in the present day Wakewater is in the process of being converted into modern flats, and Kirsten moves in fresh from a painful break up. There is only one other resident, Manon, an archivist who starts to tell Kirsten about the murky past of the river and the women who turned to it as a solution to their problems. dge as she gets to know Wakewater better. There is also the water that randomly pours into her flat and then dries up again (after my experiences with being repeatedly flooded by my upstairs neighbor last year that touched a nerve). 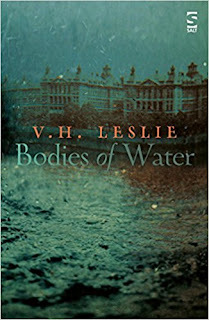 Leslie borrows from the Slavic tradition of Rusalka (the more malevolent nineteenth century versions) as well as referencing all sorts of Victorian paintings (including George Frederick Watt's 'Found Drowned' which is the sort of moralising melodramatic Victoriana I find particularly appealing) to create a very watery gothic ghost story. 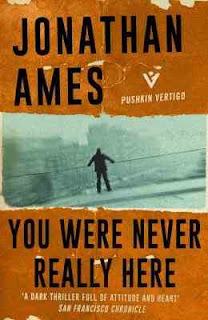 Everything about the story is slippery, and by the time I finished I was slightly more rattled by it than I might have liked. This is maybe because I live next to a river where sadly drownings have not been uncommon, so it felt a bit close to home. Otherwise it's a clever, provocative, and genuinely chilling, book that ratchets up the tension all the way through. I wouldn't particularly recommend reading it after dark, or with a tap dripping. There are a few Selkie myths around, but I think the best known one will be some version of the story of the fisherman who finds himself watching as a group of seals come ashore, shed their skins, and in the form of beautiful young women start to dance. He steals the skin of one of them so she cannot return to the sea with her sisters, takes her home, marries her, and for a while all seems well. There are children, and a settled life - then one day her young son finds her lost skin and with that she's gone. I couldn't say if it was because this was the first Selkie story I really remember, or if it's because of the ambiguous ending, but it's always been my favourite. 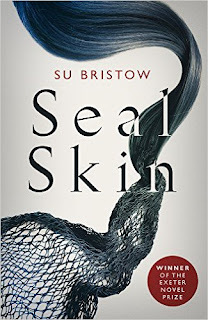 I guess it's Su Bristow's favourite too because it's the one she's chosen to tell in Sealskin, taking those bare bones and turning them into something magical. Donald, the fisherman who's about to catch more than he bargained for, is an awkward outsider in his own community. Out checking his creels he the seal maidens dancing, on the spur of the moment he hides one of the skins, and then rapes it's owner before taking her home to his mother. Despite his prevarications she knows exactly what he's done and makes it clear what the consequences will be. Donald himself is appalled by both his actions and their implications, and this is where Bristow goes to town. Why is Donald's mother so determined to take the Selkie into her family, how will the close knit community accept this particularly strange stranger, and what if they don't? What are the implications of the truth being revealed? Can Donald find any kind of forgiveness for what he's done either from himself, or from the woman he's taken? Meanwhile it's not just Mairhi (the seal girl) who's been changed, it's Donald too as he starts to take responsibility for what he's done. One reason the original story has stuck with me is that because the Selkie leaves her children behind it doesn't feel like an entirely happy ending when she returns to the sea, even though I'm always glad for her that she can no back. This time I sort of want her to stay even though I know she won't (which is new, I've never liked the fisherman before). I don't want to give any more of the details away, but this book deserves the praise that's been heaped on it, not least because Bristow keeps all the uncomfortable ambiguity of the original fairy tale. I saw it recommended when it was 99p for a kindle version (I see a paperback in my future) so took a chance on it, and am glad I did. One of the things I love about bookshops in Scotland is that they always seem to have a Scottish books section (Irish bookshops I've been in do the same, and I assume Welsh bookshops do too - the local interest section that English bookshops sometimes have is not quite the same thing) where I almost always find something interesting. 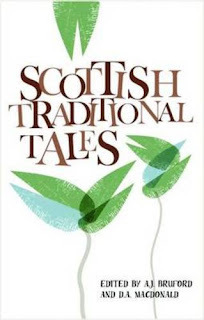 In Edinburgh at New Year I found 'Scottish Traditional Tales' which looked like it would be an excellent addition to my growing folk and fairy tales collection. It is, and I've been dipping in and out of it ever since. This book represents fifty years of research from the school of Scottish studies at Edinburgh university, and contains almost a hundred stories. They've come from a variety of sources including the Hebridean Gaelic tradition, Lowland cairds (travelling people), Shetland, Orkney - and basically all over Scotland. It was the Shetland stories that made this a book I had to take home with me there and then, but my particular local interest aside it's a proper treasure trove of interesting things. The stories are arranged thematically, starting with children's tales. There are only eight the editors think were specifically meant for young children, the rest would have been shared with an older audience wherever people gathered together and going late into the night. Other categories include fortune tales, hero tales, trickster tales, 'other cleverness, stupidity, and nonsense', fate morals and religion, origin and didactic legends, ghost stories, fairies and sea folk, witchcraft, and robbers and clan feuds. Some of these, specifically the clan feuds and the origin legends are truly local, but many are variations on folk tales that span the world and can be traced in one form or another across thousands of years. 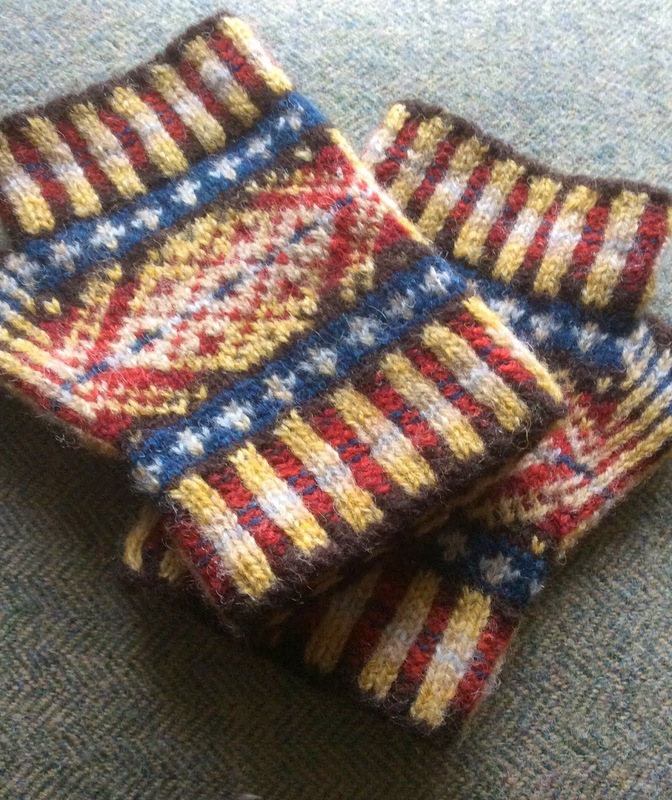 Stories from Shetland and the Hebrides are particularly well represented thanks to the tradition of gathering together in people's houses of an evening to work and tell stories surviving rather longer there than in other parts of the country. Curiously it's a custom that seems to have died out in Orkney sometime before it did in Shetland where it seems to have been common practice at least until the Second World War. Even after that the flavour of these stories is familiar to me from my early childhood in the 1970's, but by then they were definitely stories to entertain children with and maybe told in a different way. There's something particularly fascinating in the way that stories evolve as they move from place to place, but also in the details that don't change. For example, however Scottish the hero may be in any tale that involves a giant, the giant always smells the blood of an English man. However, a story from Barra called 'The Fox and The Wolf and the Butter' itself a variation of a European tale which features a Bear and a Wolf, becomes 'The Cats and the Christening' in Shetland (where neither wolves, foxes, or bears feature in the local fauna). There's an excellent and interesting introduction, and thorough notes for each story at the back of the book (something I appreciated, footnotes would have been distracting). There's also an effort to retain the voice of the story tellers, either by sticking to the dialect they spoke, or in the case of the translated Gaelic tales by trying to keep the rhythm of the them in the English version. And that's the joy of the Scottish books section - it allowed me to find something that might otherwise have lurked in the relative obscurity of social history, or similar, where I am not in the habit of generally browsing. 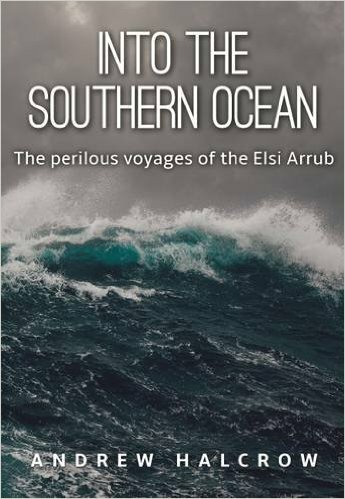 Andrew Halcrow's 'Into The Southern Ocean' has thoroughly dominated the last week. 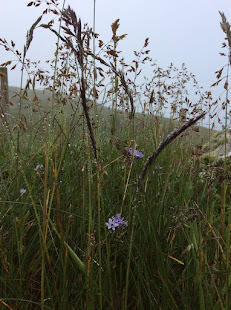 I had it to review for a Shetland based magazine (60 North) who also wanted an author Q&A. I like doing these reviews because they push me a little bit out of my comfort zone and demand more discipline then I exercise here. In this case I would probably never have picked this book up if I hadn't been asked to, and that would have been my loss. Back in 1987, Andrew, then in his twenties decided to build a yacht he could sail around the world in. He'd trained as a blacksmith and knew that he had the neccesary skills to make one out of steel, and that's just what he did. In 1988 he, and at the last minute, his brother set off on a 5 year trip during which they sailed and worked their way around the world, mostly in the tropics. They sent articles back to the Shetland Times, so Elsi became something of a household name (there's footage of their return in 1993 on you tube which shows how big an event this was locally). In 2005, Alyson, Andrews wife, was diagnosed with MS - and this is one of the things that make this book so engaging and inspiring - she deals with it by deciding she has to give her husband the chance to follow his dream whilst she can support him. The dream is a single handed, non stop, circumnavigation. (I didn't really grasp what a big deal this was until D explained it to me). What's so impressive about what Alyson does is that this isn't just moral support. Even when the preparation for the trip was done she was still going to be juggling family, farming, her own job, and providing continuous shore based support via HF radio in the way of weather reports and more. It's easy to pay lip service to those who stay behind to make adventures possible, but it's much more than that here and I've come away with a sense of a really amazing woman, which is an unexpected bonus in what could have been a much more boys own style story. The first attempt has to be abandoned when Andrew's appendix bursts and he develops septicaemia. Not a good thing to happen out in the Southern Ocean, he's rescued just in time by a passing cargo ship that diverts to pick him up, but Elsi has to be abandoned. This is genuine edge of the seat stuff - even though I knew what happened next - because by now I really cared about what happened to Elsi. Almost miraculously she's recovered a couple of months later, a bit battered but essentially in good shape, and is transported back from Australia to Shetland. Then in 2013 another attempt is made. This time Elsi is dismasted in a storm off the Patagonian coast, Andrew is airlifted off, and she really is lost. That's the basic story but there's a lot more going on than that. For someone with no particular interest in sailing I found the details of how to prepare for a trip like this, and the rhythm of life at sea, fascinating. There's time to explore a few corners of maritime history, to look at the ocean, and for the reader time to think about how important it is to try. I expected to find this book mildly interesting, I had no idea I'd enjoy it as much as I did (D pinched it off me before I got a chance to even open it, then read it in a day because he couldn't put it down). If you've ever so much as looked at a boat I wholeheartedly recommend it. Meanwhile it's been a week with a couple of interesting stories about bookshops in the news, both of which have got me thinking. There's Susan Hill's odd spat with The Book Hive in Norwich (her Spectator article is Here, a Guardian article about it Here, and the bookshops response is Here). If you've missed this, it seems like Susan Hill pulled out of a bookshop event, her PR people saying it was for undisclosed personal reasons, meanwhile she wrote an article about it saying her decision was based on what she perceived as censorship, and anti Trump politics, on the part of the bookshop (they've been handing out copies of 1984 and The Handmaids Tale which had been provided by a local book group). In turn The Book Hive came forward to basically say that's us, and what the hell? I find it interesting not so much for Hill's accusations, though I do think they're odd, but for her idea of what a bookshop, and especially an independent bookshops should be. In this case, "To my mind, a bookshop is like a library — the only difference is that you buy the books, you don’t borrow them. But both have a duty to provide books (space and budgets allowing) reflecting a wide range — as wide as possible — of interests, reading tastes, subjects and points of view. Walk into one of either and there are the thoughts and feelings, beliefs and dreams and creations and discoveries of many men and women, and that is part of their never-ending excitement." Assuming she actually means that, you have to ask why she thinks a bookshop should be like a library. Bookshops exist to sell books, if they don't sell enough books they won't exist for very long, but what do they really have a duty to provide? If it's anything at all I'd be inclined to say it's enthusiasm for the stock they choose to sell, and that's about it. The other story floating around concerns Waterstones and their 'secret' shops; three branches that have been opened in picturesque small towns that look and behave like independents (more Here.) I haven't visited one any of them, though if I get the chance I will. The one in Southwold is called Southwold books, there is a sign in the window that indicates they are part of the Waterstones chain, but it's not clear to me if they run the same offers or if it works rather more like Hatchards with different offers and no loyalty card cross over (I do love my Waterstones loyalty card, which has been extremely effective in keeping me loyal). Essentially this is another storm in a tea cup. Waterstones staff may view this differently (retail jobs are hard work and not generally as well paid as they probably should be) but I'm not aware of them being a big corporate monster. Talk of them having an unfair advantage when it gives to the imminent rise in business rates sounds like nonsense to me as well. Yes, they might have the money behind them to pay the higher bills, but my experience of bigger companies is that they can afford to, and will, walk away if the profit margin isn't there. Independent's tread a finer line and don't always have the luxury of doing that. 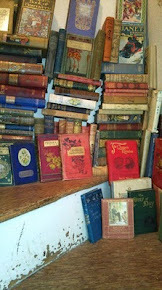 But again it does raise the question of what a bookshop, and a high street, should look like. If Waterstones are finding that small shops in small towns are working for them that's interesting. I'm assuming that these 3 branches are moving even further away from discounting than the branded stores are, and I think that's good news too. We're lucky in this country that books are relatively cheap, but they also represent a lot of work by a number of people all of who need to make a living, deep discounting doesn't really do anybody any favours, not even the customer if it means that all we get are the sure bets that can be relied on to shift a massive number of units at rock bottom price. My local Waterstones is quite small, it's something that often frustrates me when I want to browse - Nottingham is the closest really big branch - so this has made me wonder how I'd feel about it if it wasn't branded. The answer is probably more positive, rather than thinking wistfully of what other branches have I'd probably be more focused on the really excellent staff and the very good service they provide. It's something to remember next time I go in.